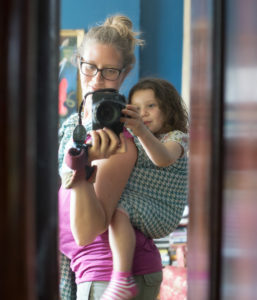 ← Babywearing Photo Sessions Only $15 in June! Have you heard of Dahlia Wraps? 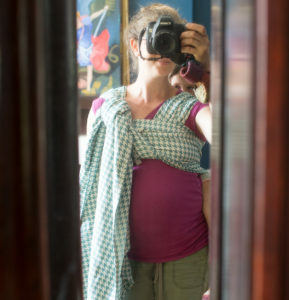 They are a company in Quebec that has been producing woven wraps for a few years, and they recently held a giveaway to provide wraps to four babywearing libraries free for shipping. Our librarian entered and BWI of St. Louis was lucky enough to be a recipient! 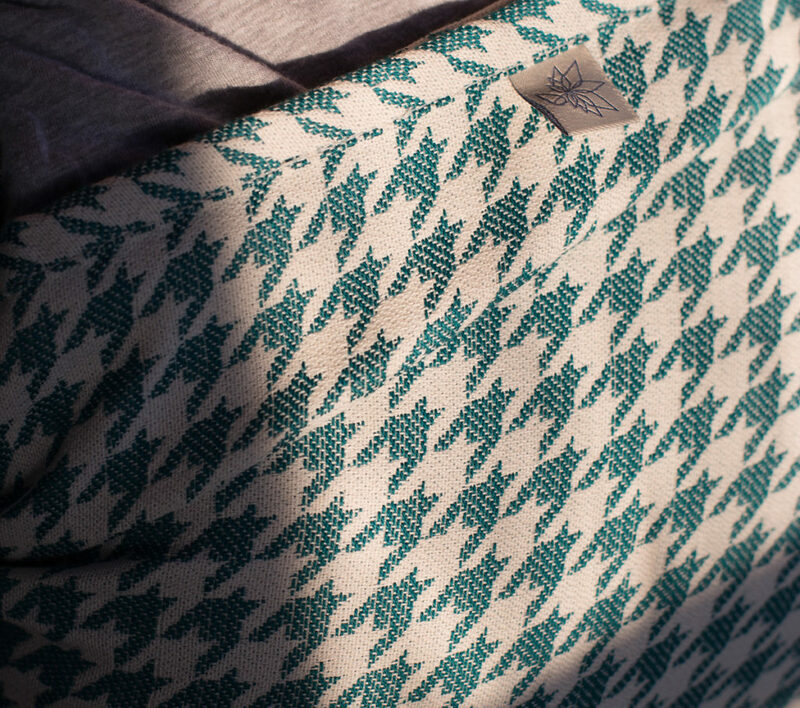 Did you notice it’s houndstooth?! This wrap is beautiful and has a lovely feel in hand. The 100% cotton is sturdy and supportive, but not rough, thick, or difficult to wrap and tighten. My 30lb preschooler was very comfortable in a Shepherd’s Carry (with gloriously long houndstooth tails). 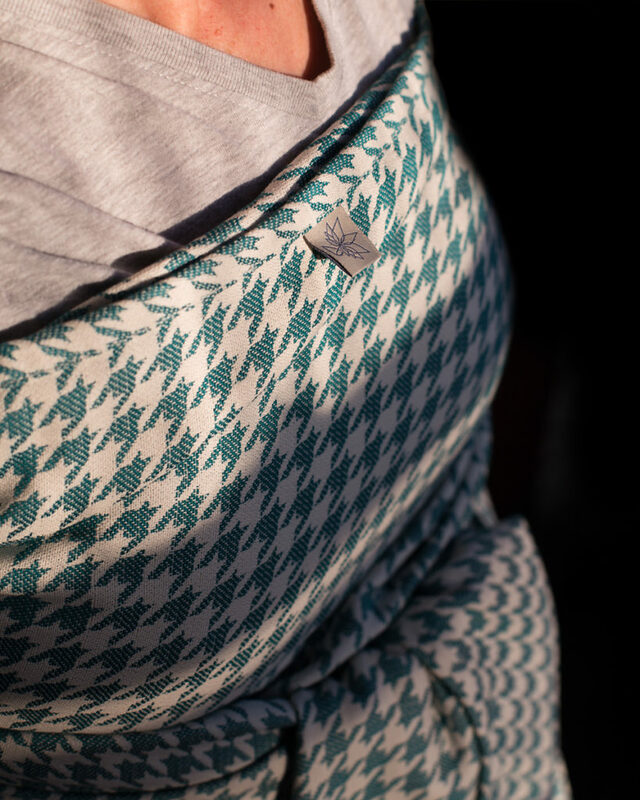 Dahlia Wraps has all their fabric woven in Italy, and the wraps are converted, sewn, packaged, and shipped in Quebec. 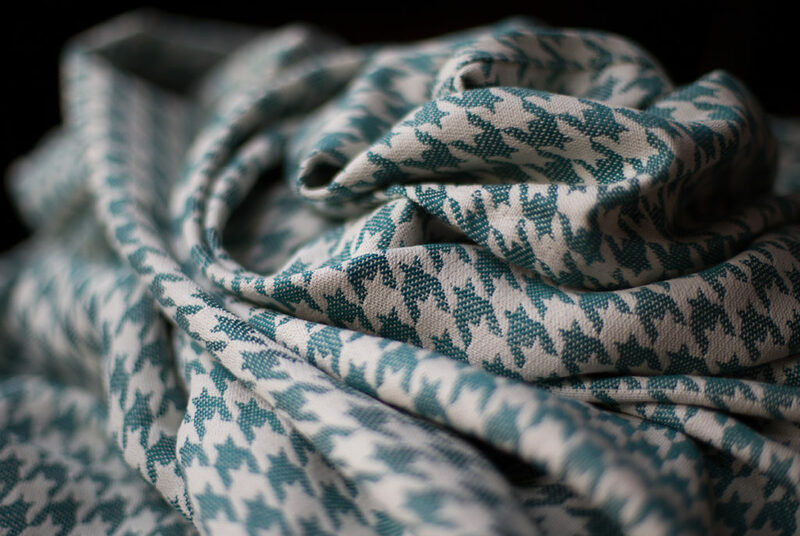 They are committed to fabrics that look and feel beautiful, and wrap beautifully as well. They also use eco-friendly dyes, and aim to keep paper use and packaging to a minimum. You can read all about the company on the Dahlia Wraps web site. A Double Hammock in the warm glow of early morning sun – gorgeous enough to make me not notice just how early it really was. 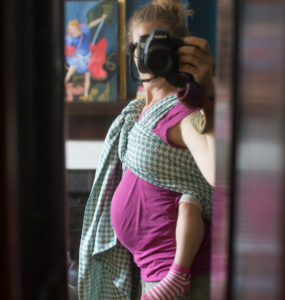 I don’t have anyone smaller than my 3-year-old to wrap at the moment, but the way this wrap feels in hand (even with very little use or breaking in at the moment), I wouldn’t hesitate to use it with a smaller baby. 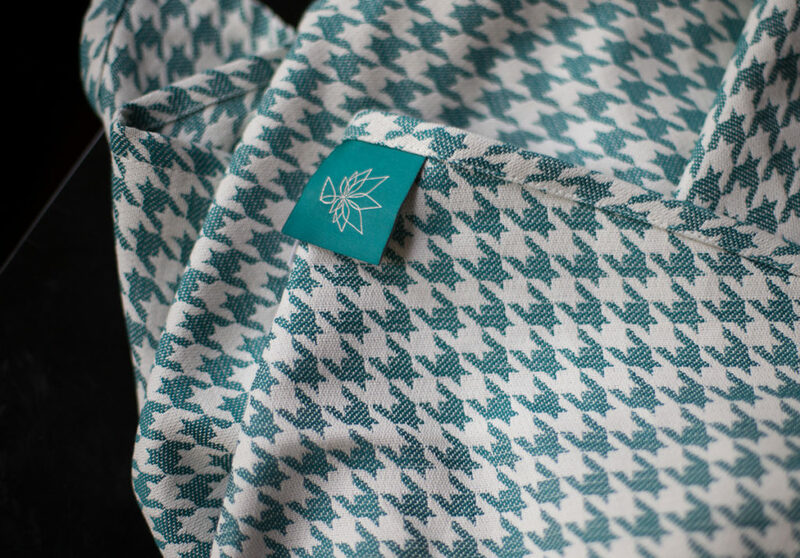 And I have a soft spot for houndstooth. We can’t thank Dahlia Wraps enough for contributing this wrap to our library – it was really fun to try out a brand I haven’t before and to learn about their company. This wrap will be making the rounds to each meeting and will be available for checkout in July. Try it out! 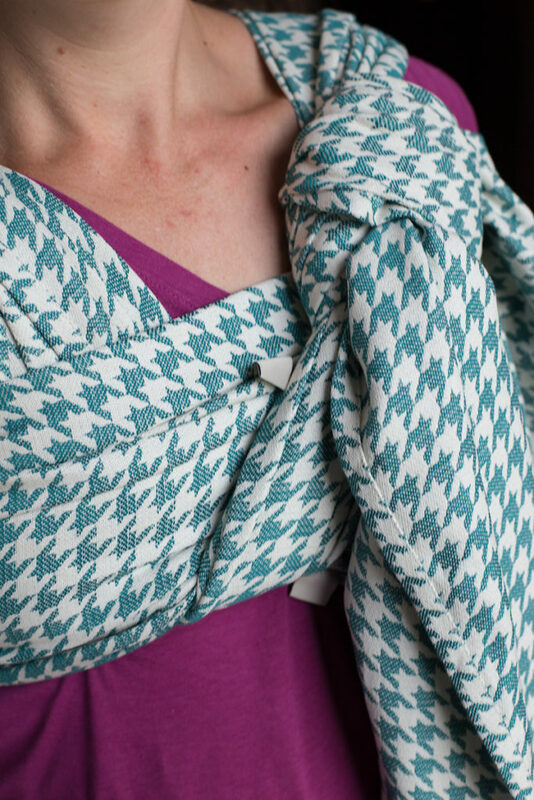 And don’t forget to follow Dahlia Wraps on Facebook for updates and new wrap releases, and thank them for supporting babywearing libraries!